Finding the Pennies: Join me for a 6 Week Summer Mum Challenge! Join me for a 6 Week Summer Mum Challenge! We all know that soooo many goals are set at the beginning of the calendar year... but what about at the beginning of the school year? We've just passed the half-way mark for 2017. How are your financial goals coming? I truly hope you're well on your way to accomplishing them. Maybe, like me, you've made some health or fitness goals but haven't quite made the progress you've promised yourself you would this "far" into the year. Don't despair! I'm not. I'm taking ACTION. "Hey, Lauren! This is a blog about saving money and finances! Not one about losing weight or fitness!" Bear with me for a few moments. There are so many parallels between the mindset necessary to accomplish your financial goals and the mindset to accomplish your health goals. One of the most important things I have learned on my weight loss "adventure" (I'm not a fan of the use of "journey" here, but that's another story) is that small, consistent changes can lead to BIG results - hence my finding the pennies approach to finances. Just like I encourage you to "find the pennies" in your everyday life to save money in order to win at your finances, Michelle Bailey, Director of Fit4Training and Founder of Mummy Movers, teaches the same small changes and consistency approach to her clients who want to "smash" their fitness and health goals. Michelle qualified as a Personal Trainer and Group Exercise Instructor at 18 years old! Later she achieved her BSc (Hons) in Exercise Science from Coventry University, specialised in Pre- and Postnatal Exercise, Fitness for Children, Pilates, Yoga and earned a Diploma in Sports Therapy. She started her own training company, Fit4Training, with her "now" husband 7 years ago, then founded Mummy Movers in 2013 to encourage mums to workout with the ability to bring their babies along. How neat would it be to begin the second-half of the year with Michelle's guidance, encouragement and expertise? Well... Michelle is offering her 6 Week Summer Mum Challenge, a nutrition and fitness plan to help guide you to your new you for the new school year for only £9! Yep. A £60 value for £9. You're worth £1.50 a week to make some great progress for your health goals, aren't you? "Ah... but Lauren, I don't have time over the summer with the kids being out of school." We all have the same 24 hours, it's up to you how you choose to spend it. If you spend an hour a day exercising, connecting with the other mums on the plan on the designated Facebook page and planning some healthy meals (again, small changes to your lifestyle already), you're only spending 4% of your day technically following the plan. "Ah... but Lauren, I'm going on holiday and I want to have fun and relax while I'm away." So am I! For three of the six weeks! So what?! You can have fun while committing to a healthier lifestyle and find plenty relax! "But Lauren, I don't belong to a gym and have no idea where to start!" No worries. Michelle will provide home-based, equipment-free workouts with the help of videos. Cool! "I don't know, Lauren, I'm still not sure this is something I want to do." Why not?! What do you have to lose but some pounds... and this time, I mean pounds as in weight. 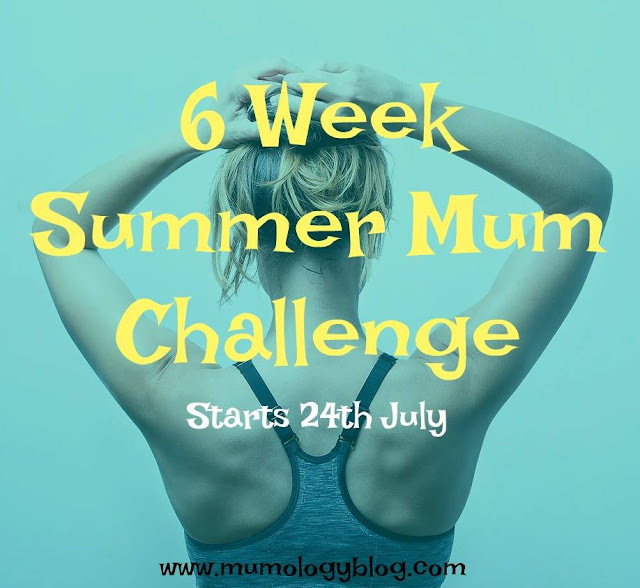 I encourage you to check out the 6 Week Summer Mum Challenge and, hopefully, sign-up to join me, Michelle and other mums for the next 6 weeks! The challenge begins 24th July, so act quick to begin your fitness and nutrition adventure.